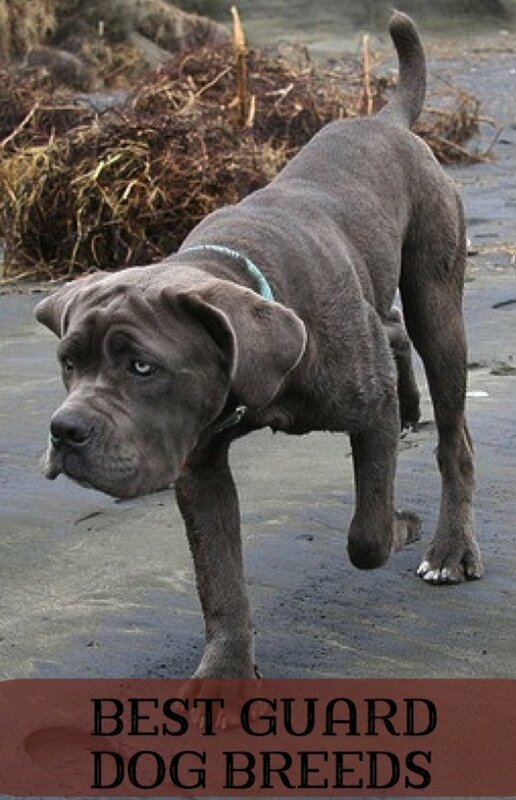 Even this young Neapolitan Mastiff (Neo) knows how to be a guard dog. Many large dogs make good guards, but the best ones do their job as well as look the part. If the dog gives out nice “vibes” by being white and furry, a thief is more likely to challenge the boundaries the dog must protect. The Komondor, no matter how fierce, is white and has dreadlocks that look odd and appealing. The same thing goes for Great Pyrenees, St. Bernards, and a lot of other dogs. Some owners prefer dogs that do not bark much, others want a dog that barks at everything he considers a threat. Both might do the job and I have included both types in this list. Which are the five best dog breeds available for use as a guard for your family? 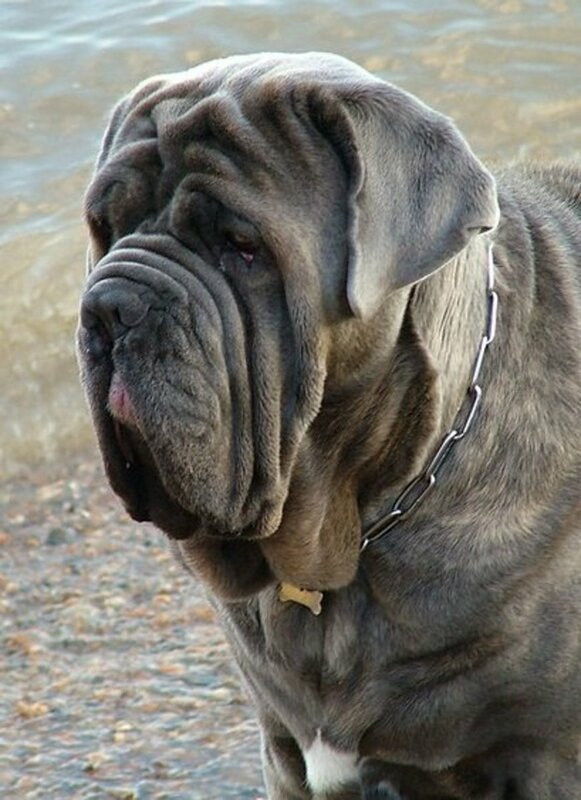 The Neapolitan Mastiff is the best family guard dog because of his size, his looks, and his willingness to lie in wait and grab a stranger attacking his family. 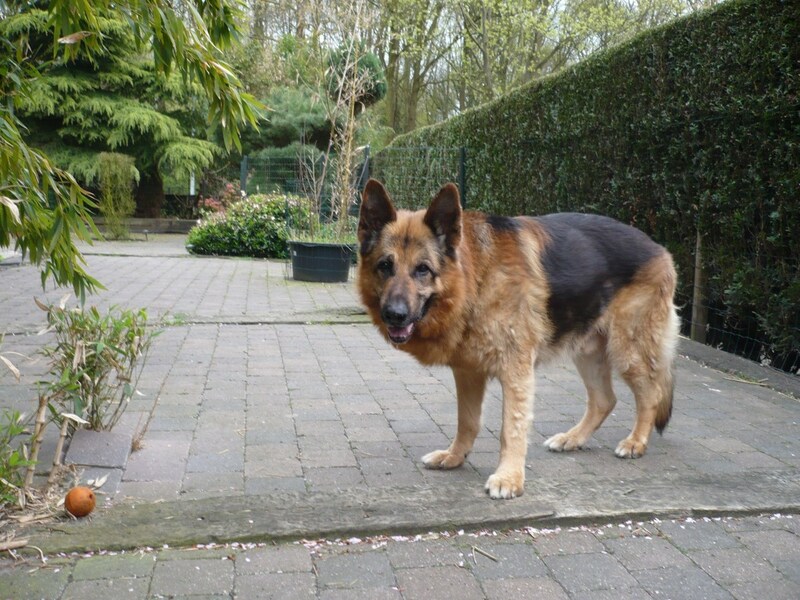 He is large (60 to 70 kilos, or 130 to 150 pounds), with a long body, huge head, and a loose gray coat (they can come in some other colors, however). This dog becomes very protective of his family so has to be well socialized if the kids are going to have any visitors. That really is about the only reason you wouldn't want to pick one of these dogs. If your house is active and has a lot of visitors, the Neo might not like it. 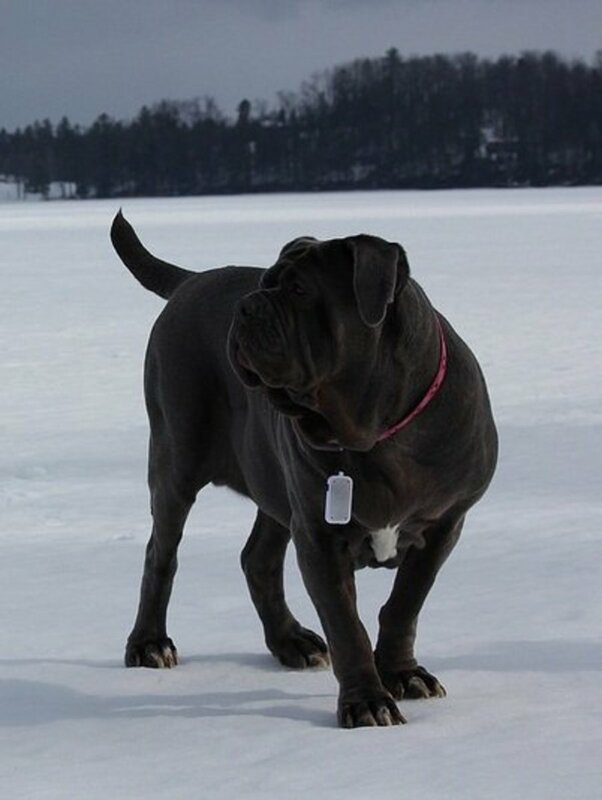 There have been instances of Neapolitan Mastiff´s battling strangers and protecting their families with their lives, but they are not always able to tell which stranger is out to do your family harm, and which is just a harmless visitor. Like all big dogs that size, there are a lot of health issues to deal with. Neos have eye problems like cherry eye and retinal atrophy (PRA), eyelid problems, hip dysplasia, bloat, infections in the folds of the skin, and several other less common problems. Neos only live seven or eight years, but during that time he will probably just hang out in your yard, rarely bark, never run away, and watch and protect your family when they need to be protected. Rotties are definitely among the best family watchdogs because they also are one of the best family guard dogs. Even though they were only used as herding dogs until the 19th century, their strong bodies and great instincts have made them powerful guards used by the military, the police, and by families in search of a good companion. They excel in personal protectioncompetitions because they are intelligent and powerful dogs. (The lists usually disagree as to which dogs are among the top ten, but as this book points out, Rotties are among the top ten. 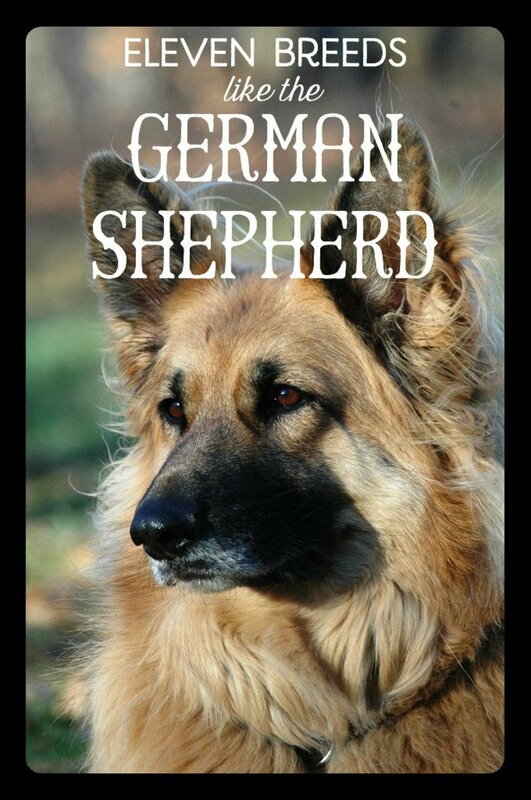 If you are interested in getting a new family guard dog I recommend reading this book about canine intelligence.) 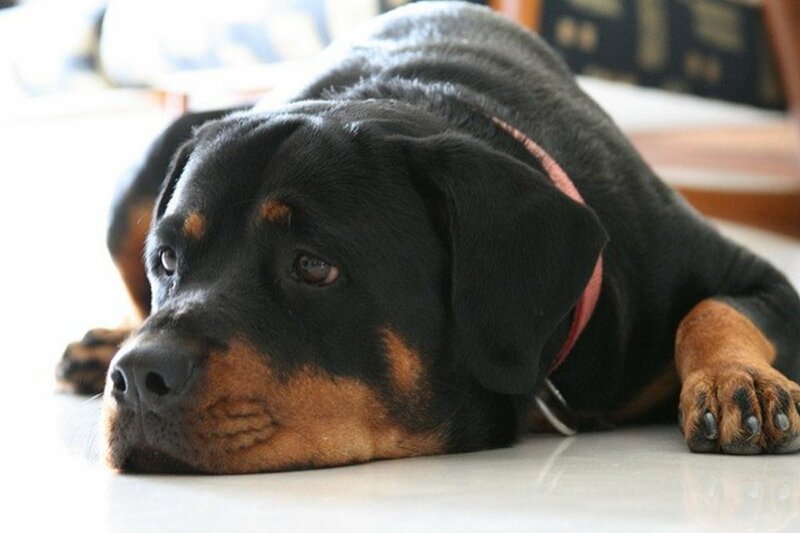 Rottweilers know how to use their weight (50 to 60 kilos, or about 110 to 130 pounds) to protect their family. Rotties have a few health problems. Hip dysplasia is the most serious. The hips of all dogs used for breeding should be x-rayed and the dogs can then be certified, but even that is no guarantee. They can also suffer from eyelid problems, cancer, and a few less common problems. Rottweilers only live to about 9 or 10. If kept around the house to work as a family guard dog, their food needs to be controlled so that they do not become obese. Like all big dogs, they also should be well socialized and trained. Rottweilers are aloof with strangers but treat their family with warmth. 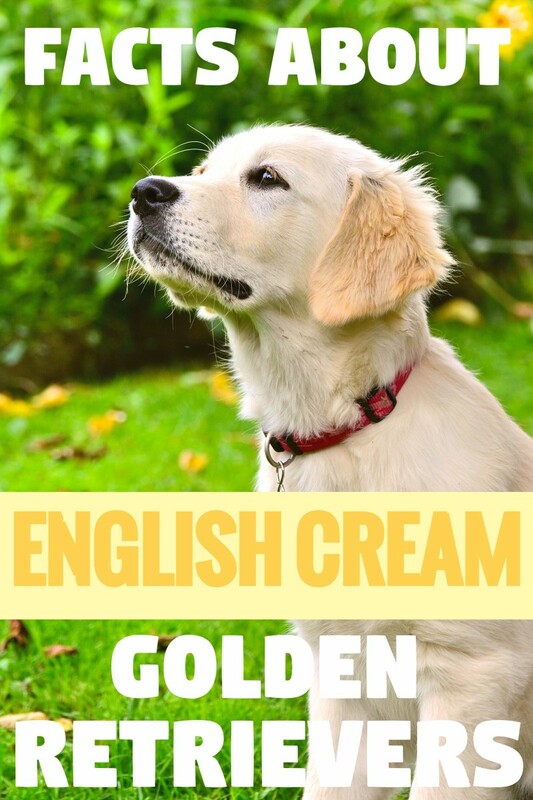 If you are looking for a dog that barks when he guards his property, they certainly can be the best family guard dog. This dog breed is rare but should definitely be considered for anyone looking for a good family guard dog. 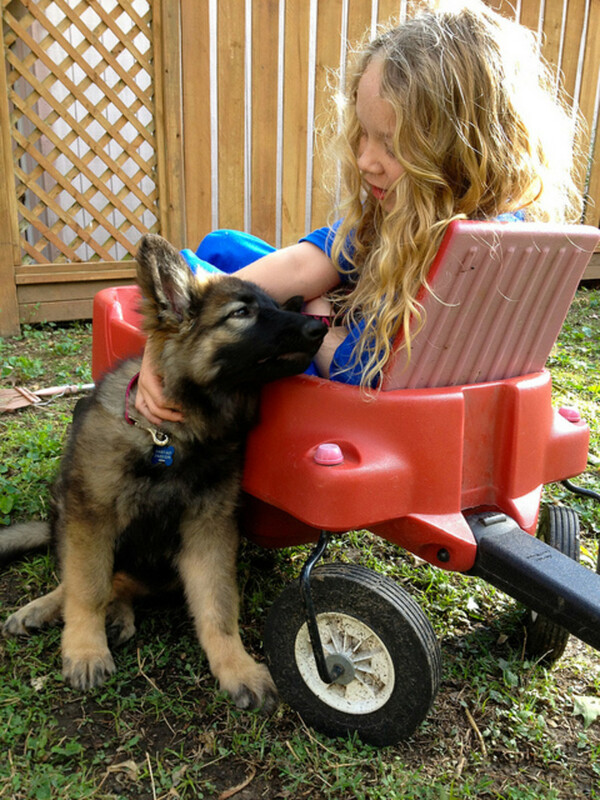 They are closely related to the German Shepherds but have been bred for more stable temperaments and to be great family dogs—good with kids and other animals. Shilohs are a little larger than German Shepherds, usually weighing about 55 to 65 kilos (120 to 140 pounds). 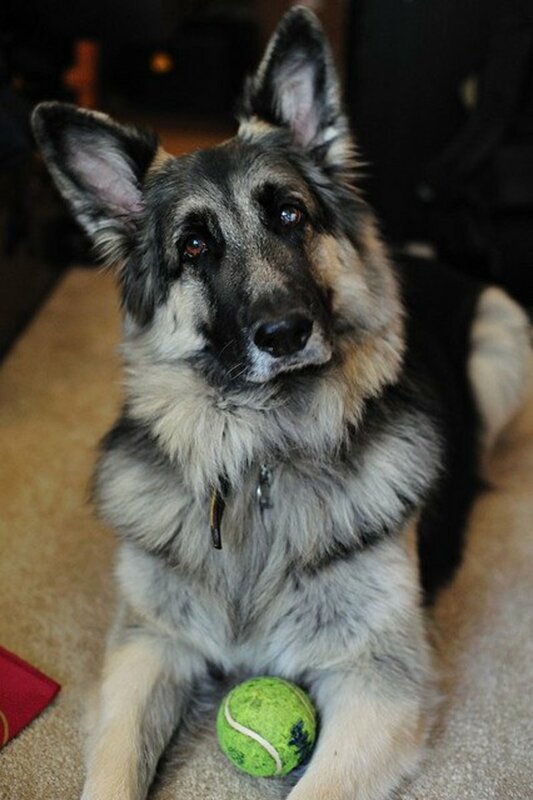 Shiloh Shepherds tend to experience hip dysplasia and are prone to bloat, like all large dogs. They also seem to be more prone to some intestinal and pancreatic diseases, but since there are still so few of them it is hard to say for sure. They live about 10 or 11 years, about like a German Shepherd. They have the same guard ability as a German Shepherd Dogs but since they were bred to work with kids are an excellent choice for a family guard dog. These dogs were named Bullmastiff because they are a mixture of 40% Bulldog and 60% Mastiff. Although they are sometimes fawn, they can be found in dark red or brindle, and at about 50 kilos (110 pounds) make an impressive looking guard dog. They are natural guards and most spend all of their time looking after the family, not barking much except when noticing danger. With a dog this big, of course, they need to be properly socialized when still a puppy and trained by everyone in the family. They have a lot of health problems. About a fourth of them have hip dysplasia, a lot of them have eye problems like retinal atrophy (PRA), and they are prone to bloat and arthritis. They only live to be about 8 years old, but during that time make natural family guard dogs. Note: Dog Is Not Vicious at All! 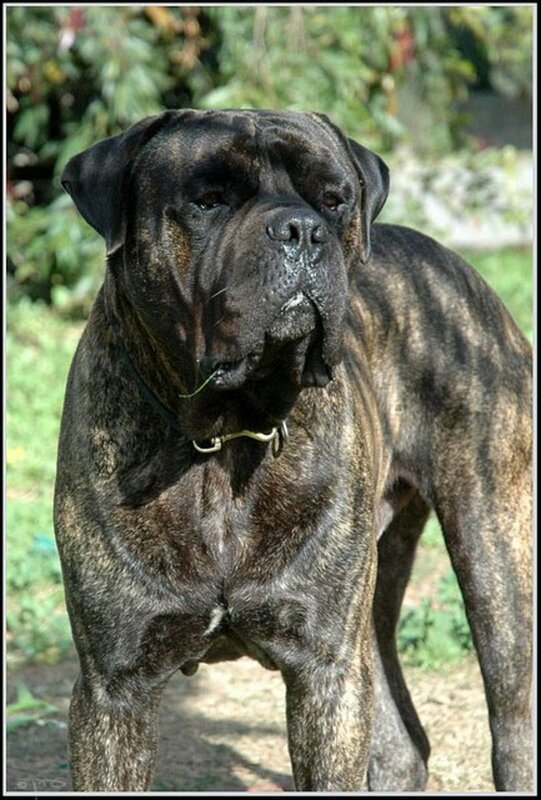 I have to list the Boerboel last, not because he is not as good as the other dogs, but just because of his looks. He is large and powerful, but his color is not as powerful as some other guards. No one is sure about their background, but they may be related to Bullmastiffs, as well as the African dogs that defended homesteads against lions and other predators. They are an impressive looking dog, however. Their heads are large and blocky, their bodies are thick and muscular (60 to 80 kilos, or about 130 to 170 pounds), and they look like they act: Ready to defend the family and the homestead. This dog is normally healthy, but like all big dogs can suffer from hip dysplasia. Some dogs also have eyelid problems. Boerboels usually live about 10 years, and if they are going to be around the family they should be well socialized, and like all big dogs need to be trained. If they are treated right, they will make an excellent family guard dog. This video is short but really good. The girl is not injured, and they are only playing. These five breeds are the best but of course most dogs will guard the family and like kids. You should check with your local animal shelter and see if they have a dog that has the size and attitude you are looking for. You can also check with Petfinder.com. These types of dogs are given up at times (maybe the owner is moving to an apartment and can no longer keep the dog) so it is worth looking at the shelters in your area. Do not buy one of these dogs from a pet shop or on the internet. You will be supporting a puppy mill. If you are interested in obtaining a good dog, go to a dog show and look at the best representatives of the breed you are looking for. Talk to the breeders that are showing that type of dogs and find out some of the requirements. Finding a good family guard dog may not be easy, but it will definitely be worth it. Is the Cane Corso breed a good guard dog? They are great guard dogs, one of the best for personal protection, but not a good guard dog for a family. If you are a single person, have experience with dogs, and want a good companion to watch your house (and your back) they are a great choice. Should I get a Rottweiler or an English Mastiff for an all-round guard dog? 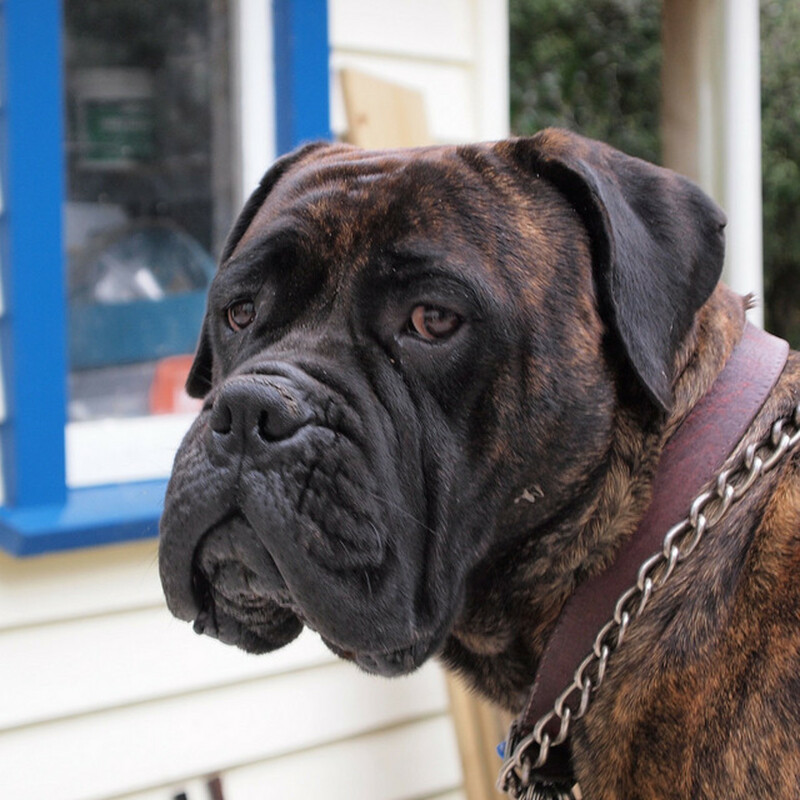 English Mastiffs are nice dogs, but a little too calm for guard dog duties. 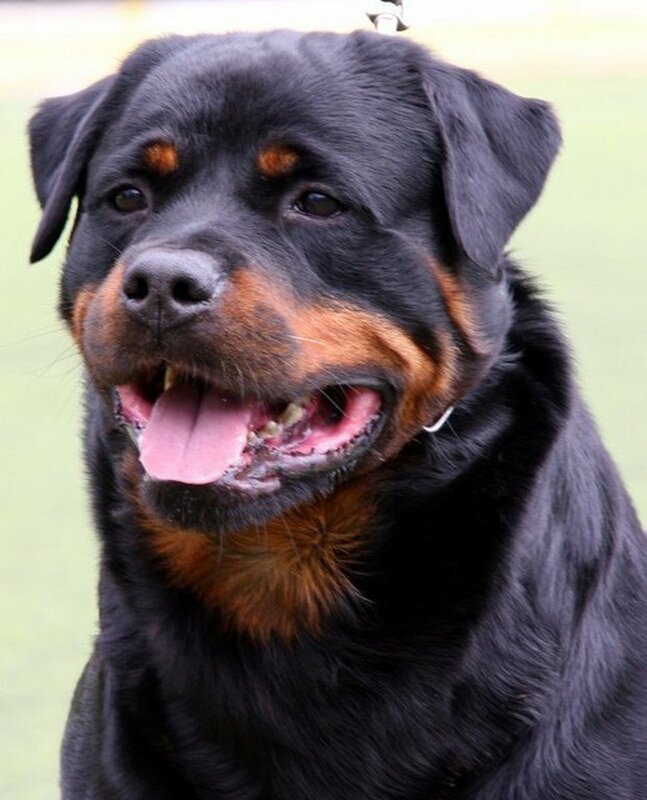 The Rottweiler is your best choice. What dog breed is good for someone who owns a day home but also wants their property to be protected? Essentially, a dog that will keep the home and family safe, but is good around many different children? Unfortunately, I do not think there is any breed of dog that is always 100% safe around small children that are not attended. The dogs on this list are great, and if they know the family they are super, but when a strange child starts hitting a dog on the head and pulling his ears all guard dog breeds are going to be upset. The best thing that you can do is keep your dog confined during the day when your home is serving as a daycare. As soon as the kids are gone for the day the dog can be let out to be around your family and to protect your property. This is the safest option for all involved. Do Presa Canarios make good guard dogs? 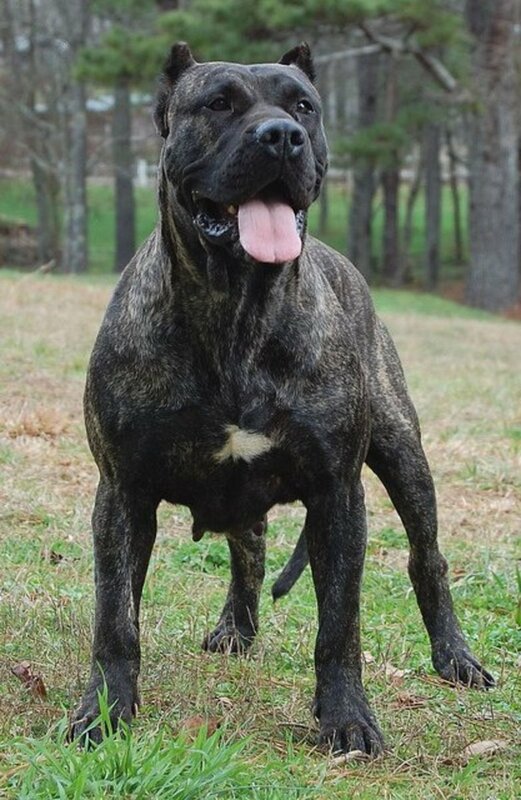 The Presa Canario is a large, good-looking livestock guard dog breed. I think they are appropriate for a single person or a couple that has experience with dogs. I do not think they are one of the best family guard dogs, which is why they are not on this list. Do you think Dogo Argentino is a good guard dog for a family? They can be as long as they are raised around the family and recognize the members as part of their own. 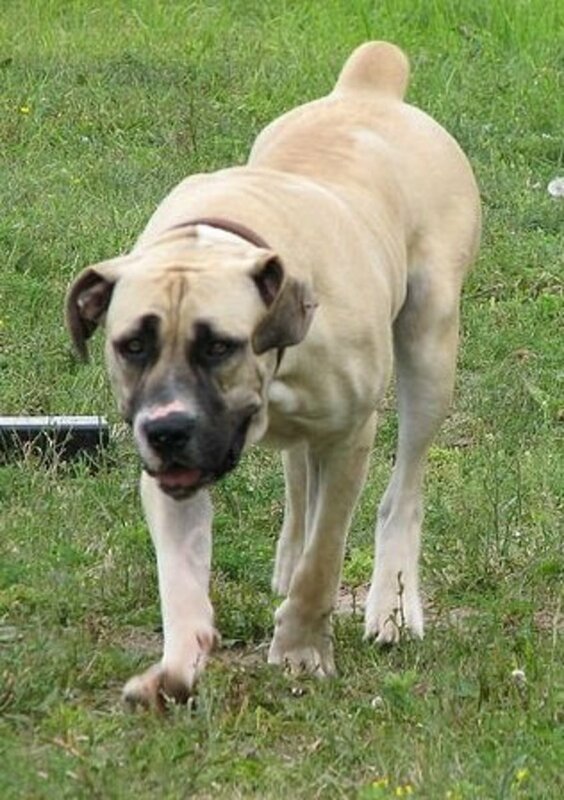 They were bred as hunters, however, and are not as likely to want to lie around as most Neopolitan Mastiffs. Would an Anatolian Shepherd make a good family guard dog? Although Anatolian Shepherds are awesome dogs and large and tough enough to take care of your family, their greatest weakness is their need for exercise. They were bred to protect the herd, and are used to walking all day long. Most of the people who get one of these dogs and then ask them to hang around the house all day end up unhappy. 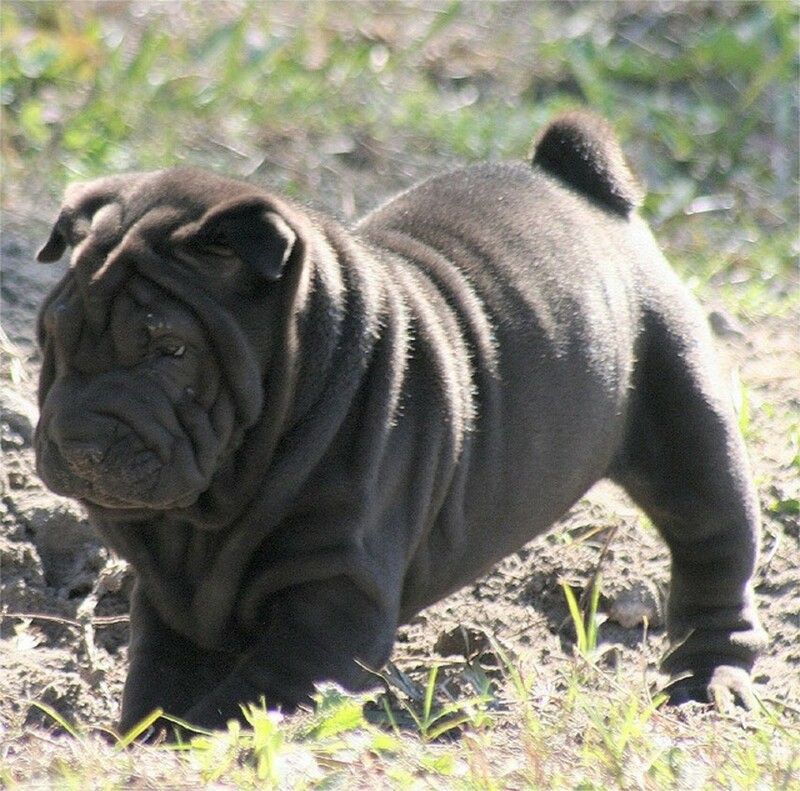 A breed like the Neopolitan Mastiff, however, is not an excessive walker and will be satisfied hanging around the house and watching your family. 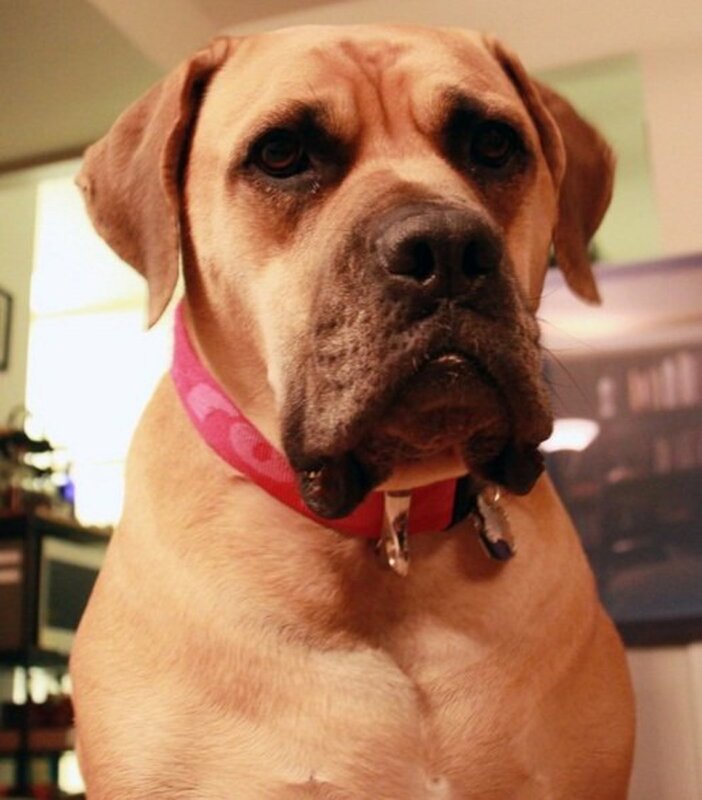 Perhaps you have only included the Bullmastiff for posterity reasons. The Bullmastiff has simply been ruined. Any working capability has long been bred out of it as your typical owner or breeder now think are happy to be producing an unhealthy and dull couch potato. We have had 2 Rotties & they are the BEST family dog and guard dog. If they didn't like someone, it was for good reason. They need a lot of attention and socialization. I have to disagree with the barking thing. They hardly ever bark. We've had a Doberman and she was great. We also raised a beautiful pit bull and have been around many, but will NEVER recommend them to anyone. 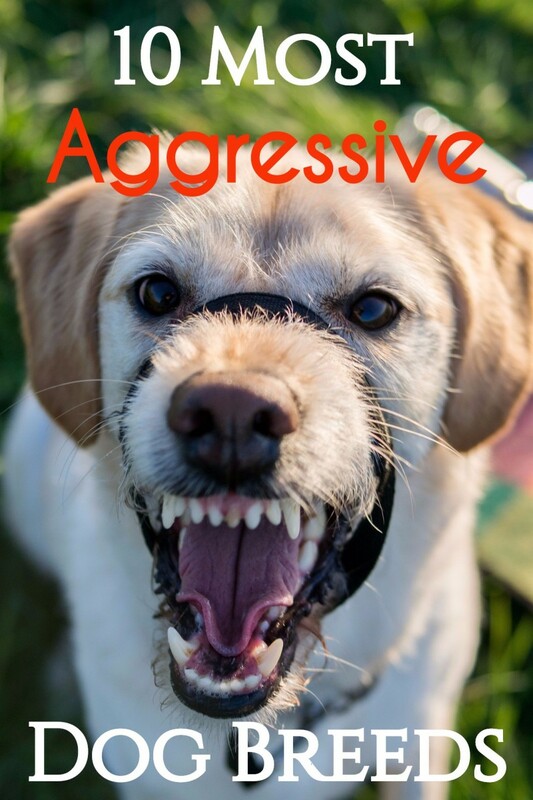 Some can be exceptions, but we were very good raising with ours just as our other dogs and he attacked a small dog that he'd been around and played with many times for no reason and did not obey any command to stop. It was an awful experience! (Luckily, it wasn't a small child!). 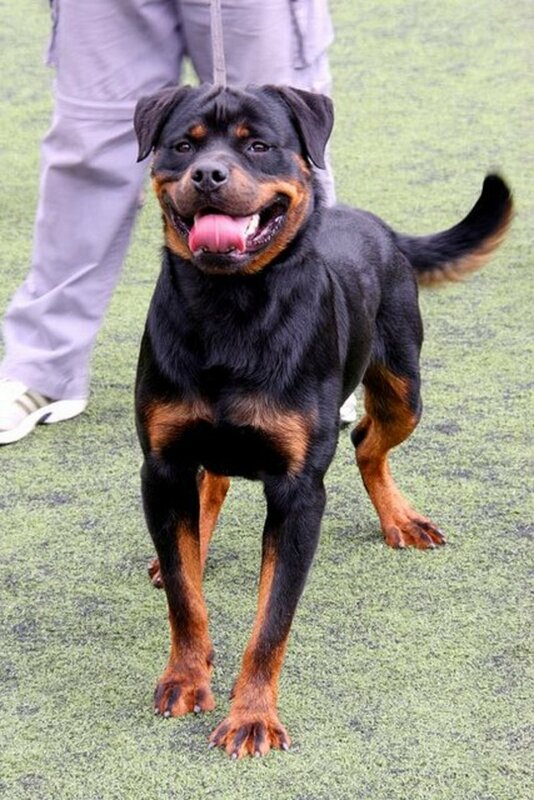 If you are looking for a great family guard dog, Rotties are the best, love dobermans and shepherds, too! I also do not support puppy mills. We rescued our Doberman and our second Rotweiler. Believe it or not, you can find purebreds at a pound! Thank you for your bit on not supporting puppy mills with pet store purchases. Most dogs that are at pet stores did come from a puppy mill. It's a shameful business and only consumers can stop it by only adopting pets from shelters and rescues. Great article! Hi Neighbor (sort of, we are on the same continent, at least). Thanks for stopping by and leaving the comment. I have read (and tried) several of your great recipes. I ALWAYS appreciate your great work, even if I do not stop to leave a comment! My husband is a big man who loves big dogs! We've had rottweilers, but he's always wanted a Neopolitan Mastiff. He enjoyed reading this article--the Shiloh Shepherd and Boerboel were interesting choices! Thanks Minnetonka Twin I appreaciate your visit! I hope all is going well with you and your Lab. Incredibly informative and fun hub. I just loved the video on each dog, especially the little child that kept snuggling with the dog. I don't do it often on hubs but I had to vote up and hit every button on this superior hub. Great photo's, videos and information. Thanks for stopping by, barbat79. wetnosedogs, did you enjoy those photos at the top? I really laughed at the Boerboel "defense" video. Some dogs just can't take a joke! Love that short video. That is how my daughter's oldest boxer likes to play. Thank you the extremely informative hub! Thumbs up!